The Chotto chair by Thomas Stroman. Sitting is the new smoking, people– just look at the “loaf coach” in Lady Dynamite. So take the opportunity to test out Thomas Stroman’s uber-ergonomic Chotto chair before he decides a price for it that will conceivably be beyond your budget. 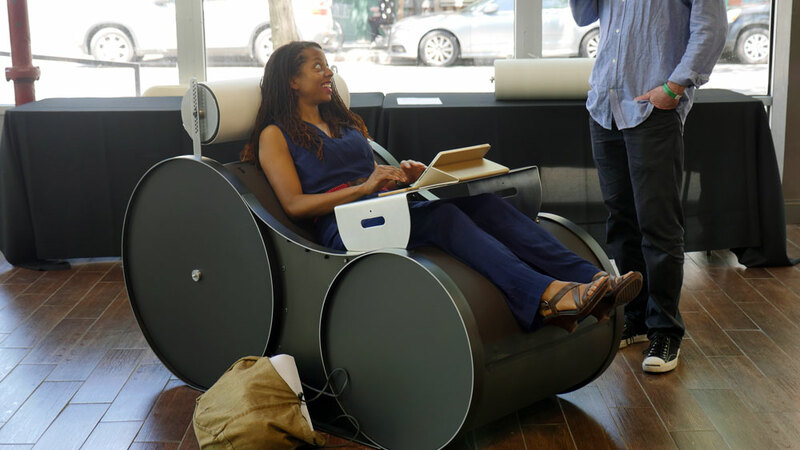 It “incorporates a weight-displacing recumbent position that reduces vertebral compression, muscle fatigue, and circulation pinch points” and “is further enhanced by a continuously flexible seating surface that dynamically responds to each occupant’s unique weight, shape and movement.” There’s also an adjustable, cushioned headrest, track tray, and some under-the-bum storage compartments. 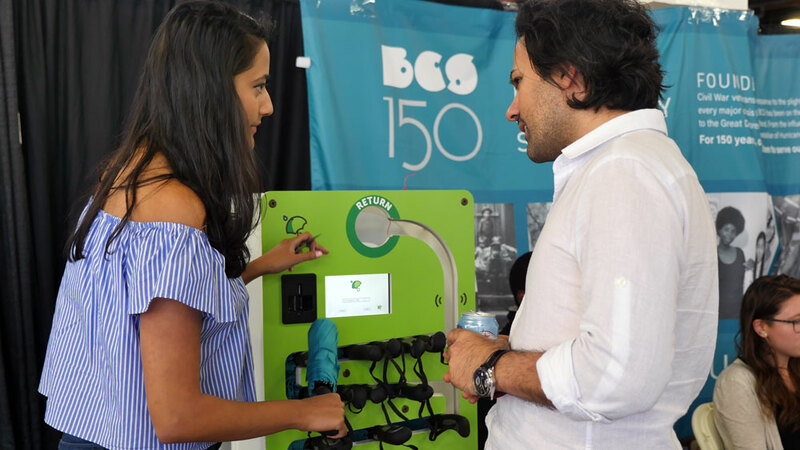 ‘brellaBox co-founder Anusha Kambhampaty demonstrates the umbrella rental vending machine. A ‘brellaBox would have come in handy Wednesday. It’s an umbrella sharing service where you use your credit card to rent an umbrella from one of their vending machines. The service has already partnered with Michigan State University College of Law, East Stroudsburg University, and Penn State University in an effort to make rainy days easier and more environmentally friendly. According to their website, we throw away enough umbrellas worldwide to build 25 Eiffel Towers every year! 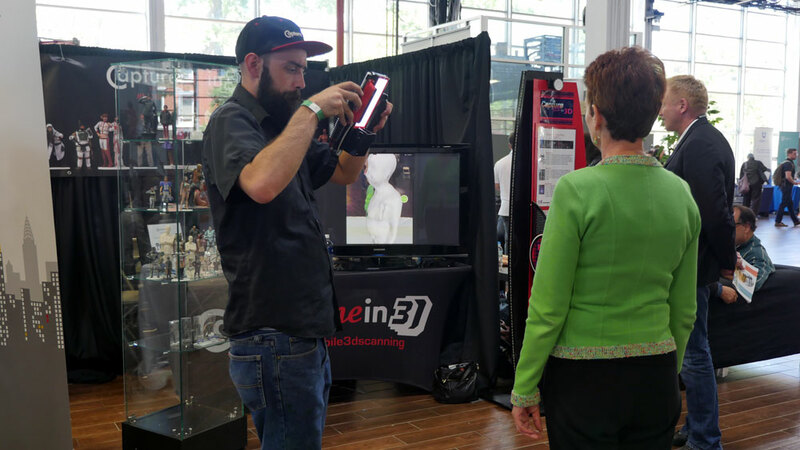 A woman starts the 3D selfie process with Capture Me In 3D scanner staff. Having more trouble taking a sext selfie than Amy Schumer? 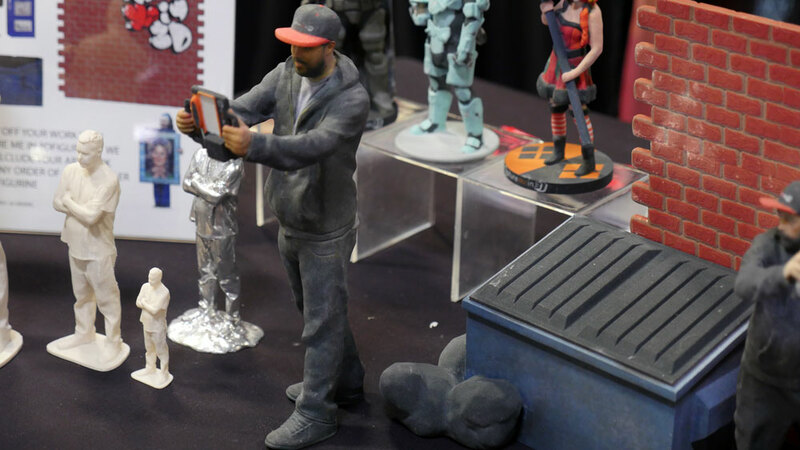 Instead, have a miniature model of yourself made with the Capture Me In 3D scanner. The handheld 3D scanner is “prepared to accommodate whatever custom 3D application you can envision,” according to its website. Not in the market for a miniature model of yourself? They also do 3D printed personalized Christmas ornaments, personalized 3D trophies and 3D business cards. A Mother Dirt staffer demonstrates AO+ Mist by spraying it on his head. The folks at Mother Dirt want you to “rethink clean” and start using their bacterial body mist, AO+ Mist. It contains live Ammonia-Oxidizing Bacteria, a living product that supposedly replenishes the “good bacteria” that is lost in a modern society obsessed with sterilization. We feel like we probably get more than enough bacteria– good, bad and ugly– by using the NYC transit system, but to each their own microbiome. 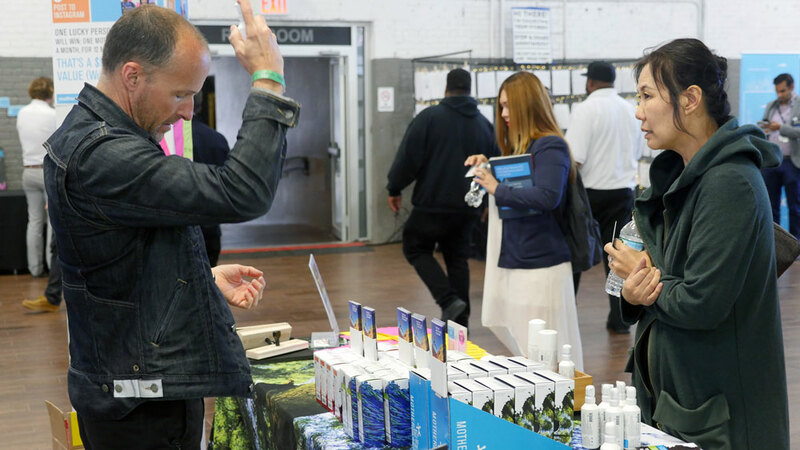 The Northside Innovation Expo continues today at the Brooklyn Expo Center, located at 72 Noble Street, from 10 am to 6 pm. Admission is free. Check out the full Northside Innovation Festival schedule here.